You were inspired to become an entrepreneur for a REASON which defies ALL logic... But let's be real...LIFE always seems to cloud this vision and get in the way of your wildest dreams! You don't even know where to start. Or maybe you know what to DO, but have yet to see it work for YOU? 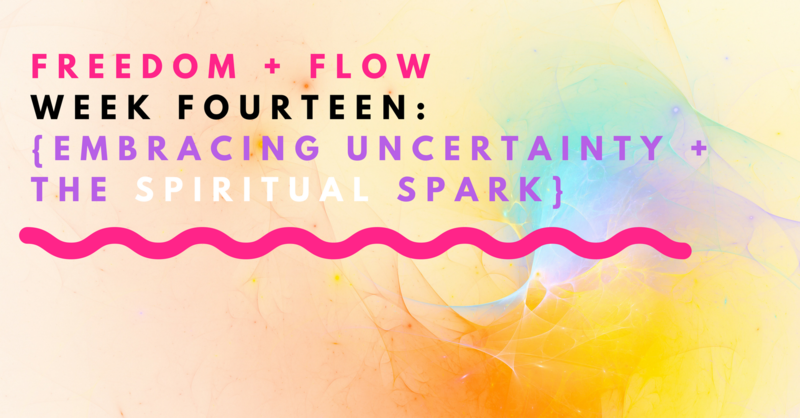 The time has come to experience FREEDOM + FLOW! Yes! FREEDOM is my calling. 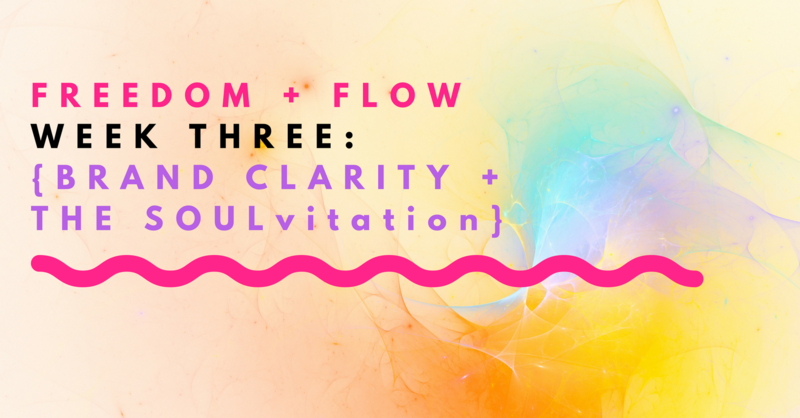 Before we begin this magical journey together, I feel it is very important to begin by setting your intentions to help you channel your energy at the highest vibration to spark the fire of your internal desires. Now that you have more clarity on your intentions, let’s work on getting crystal clear on WHO you are here to help and HOW you will package this magic by unleashing your divine gifts, and your Ikigai, a reason for being. Now that you've done some personal work around your Ikigai, let’s expand the Brand (your legacy!) Ikigai to help you compose your SOULVITATION to be the purest reflection of your brand + why you are SO passionate about your work. How will you find her? Getting clear as we did in previous weeks is a great start, but how can you continue to authentically magnetize your DREAM clients? VERY SIMPLE! 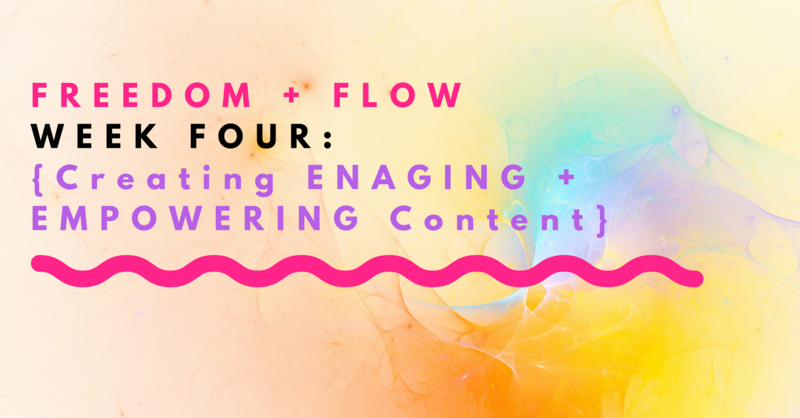 —>It’s the Art of Engaging Content. 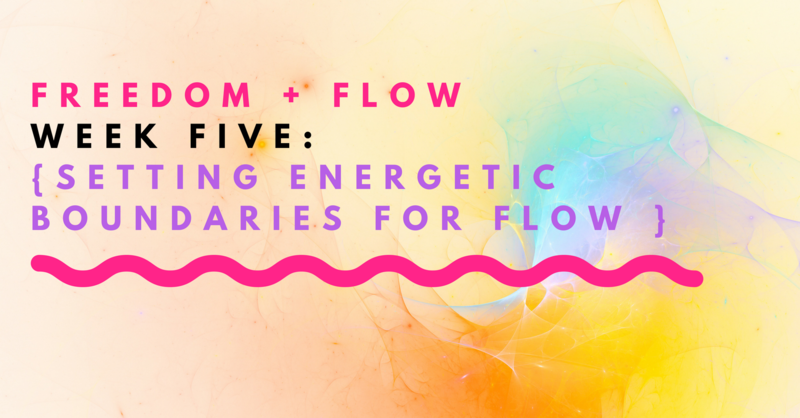 Continuing the spirit of energetic FLOW in our journey, it is important to be mindful of HOW you spend your energy. In the online world, it has become common to associate ABUNDANCE with money, but TIME + ENERGY are just as much, if not, much MORE valuable. While inspiration is wonderful, I KNOW you are ready to turn your passion into profits! Now, let’s backtrack to think step by step how she will find you to say YES to your offers! Think of what you TRULY want to know about your new client...as what you ask her will MIRROR WHAT YOU DESIRE, TOO. Remember, your client is a reflection of you, and often is WHERE YOU DESIRE TO BE. The application is where you get to learn how much she mirrors you, and the clarity call + community you birth BRINGS THIS TO LIFE. The energetic value you provide will turn your deepest passions into profits. Let's continue warming your audience following the release or your freebie/initial connection, as you slowly introduce your gorgeous offerings. 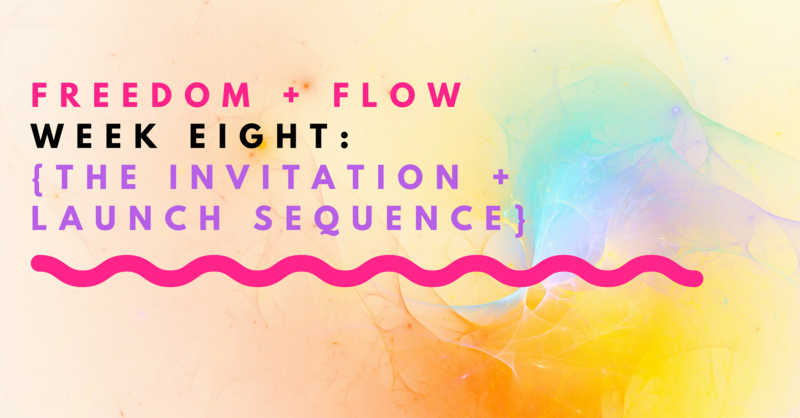 You have created your formal invitation through a digital sequence to release your FREEBIE + future offerings to your Tribe! Yes, you are building an online business. But something I feel is amiss in the online coaching world is the HUMAN TOUCH. 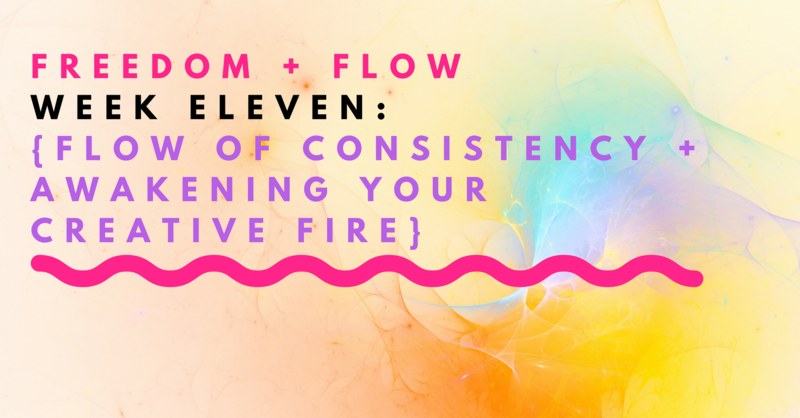 Life is a constant flow, and with all the changes you undergo on a daily basis, only ONE thing remains constant in your business + life: CHANGE. Let's see how to stay FOCUSED in the fog! 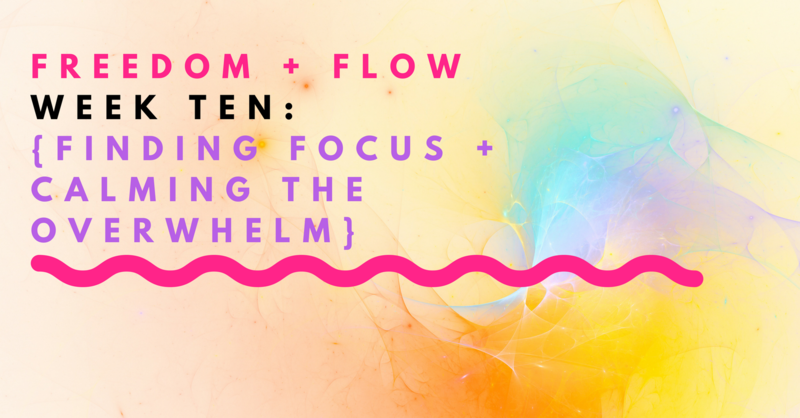 So how do you stay the course when you aren’t feeling inspired? How do you relate when you feel out of sync? 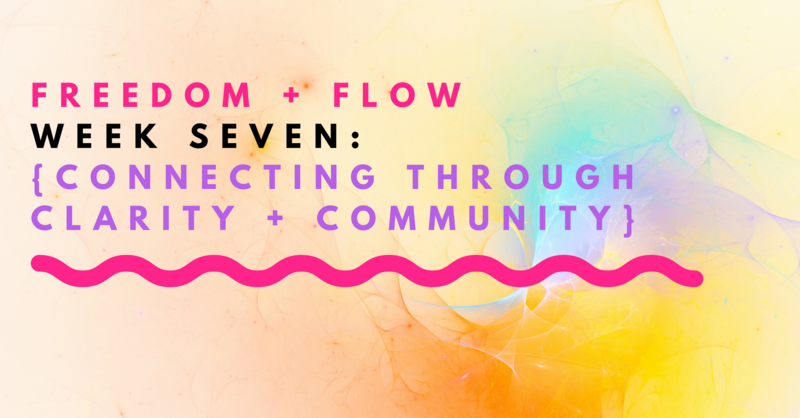 In what ways can you break free from STRUCTURE + allow more creativity to FLOW? Together, we will develop a plan of action for you to tap into when you just aren’t feeling inspired! Trust me, it happens. YOU ARE HUMAN! 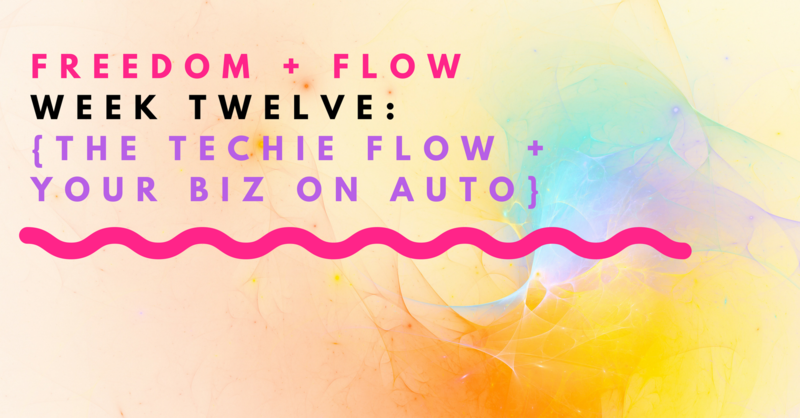 Week Twelve: The Techie Flow + Your Biz on Auto! 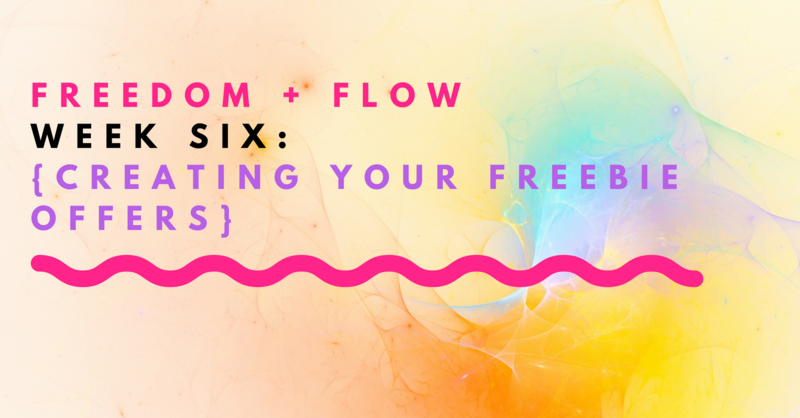 Creating a technological system will invite the energy of flow into your business, giving you the time + freedom to unleash your TRUE passions. 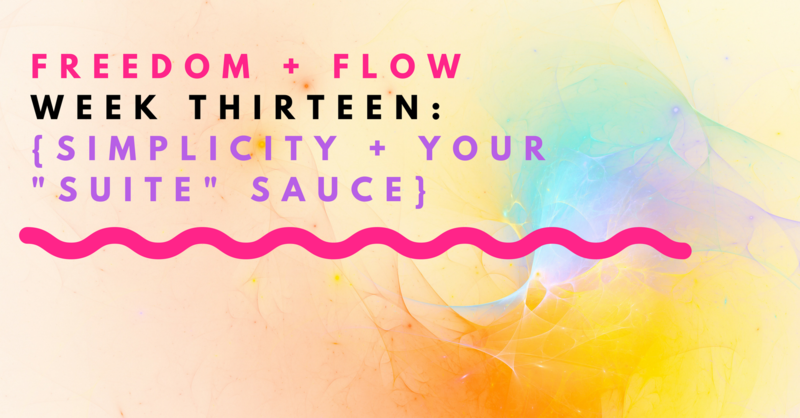 Week Thirteen: Simplicity + Your "Suite" Sauce! Somehow along the way, human nature took on the belief that complication meant wisdom, experience, and credibility. Yet, when you’re laying the foundations of your business, LESS IS TRULY MORE. Simplicity grabs her attention in a way that makes sense in her life to take ACTION NOW. 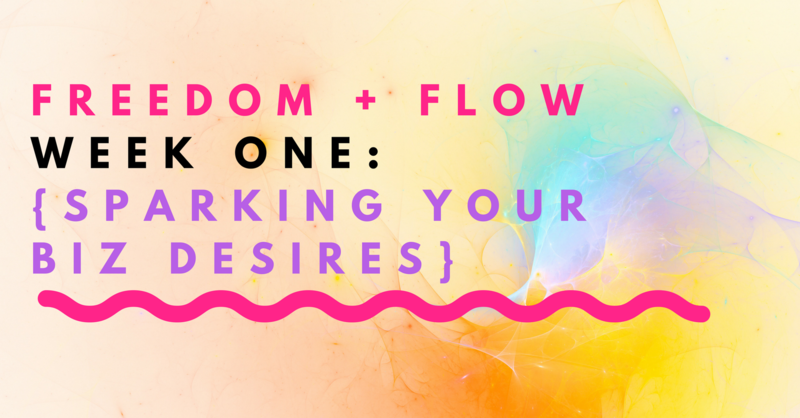 Do you have a constant desire to know how it’s all going to work out? Of course you do. This is a basic human desire. Knowing gives you comfort + confidence. Yet how do you deal with the entrepreneurial journey when you can’t KNOW the answers? 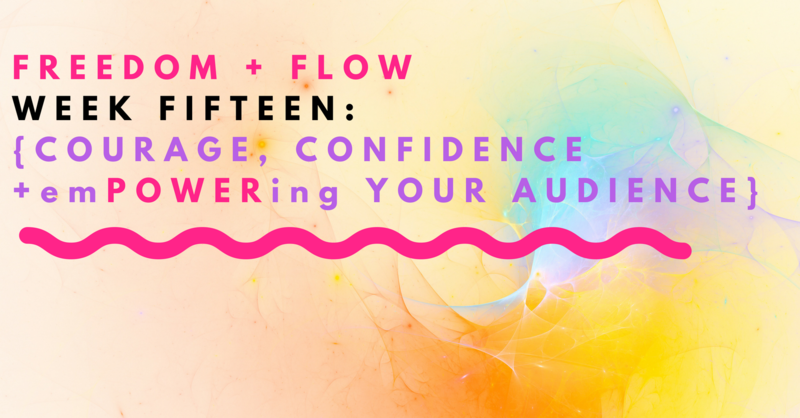 Week Fifteen: Courage, Confidence, and EmPOWERing Your Audience! Deep within your soul lies your TRUE power, courageous spirit and unwavering confidence. What keeps you from feeling this in your everyday life is the workings of the “ego” mind. 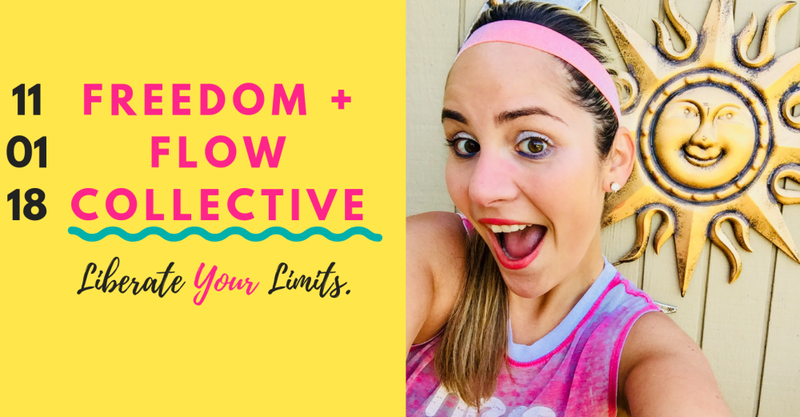 This week, I want to dive deeper into how to flex your confidence muscle to show you the miraculous power that YOU ALREADY HAVE NOW. Remember, money is VALUE. Through valuing yourself first, you allow this to channel in your desires + the desires of your clients! 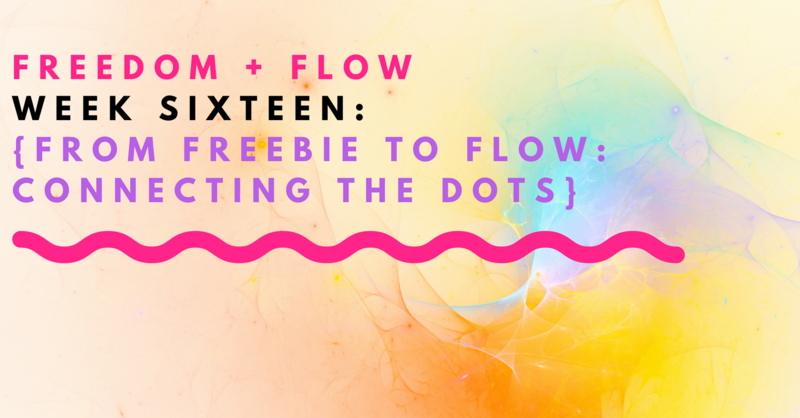 In our last week together, I want to help you immerse all the wisdom + teachings of this course to give you a CLEAR path from FREEBIE to FLOW. To continue to feel GROUNDED in your work + know that you are taking all the right steps towards sustaining + GROWING your business. So let’s put all of this together, connect the dots, and wrap it up in a gorgeous package so you can walk away CRYSTAL CLEAR as to what’s next on your entrepreneurial path! 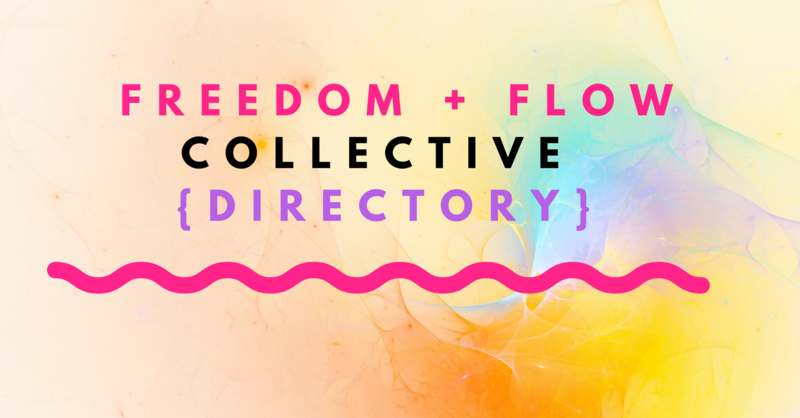 Get to know your fellow sisters, fill the gaps in your own business or refer your clients to the best of the best with the Freedom + Flow Member Directory!